KTS were badly affected by the recent earthquakes, where we very sadly lost one of our hand weavers. 146 homes have so far been confirmed as being destroyed completely or uninhabitable. 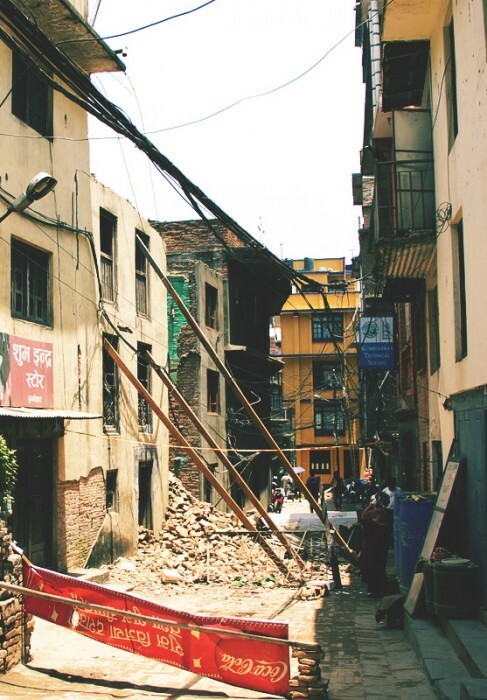 KTS are now in the process of demolishing any remaining partially destroyed buildings and for those that have lost their homes – build temporary structures that are safe enough to live in until more permanent housing can be built. The government are drafting a new housing policy, as part of its “climate change adaption plan” to ensure that all new construction work will be ‘earthquake proof’, this plan includes inputs from the village level “using community wisdom”. People Tree is (and forever will be) committed to supporting communities through Fair Trade rather than charity. In these circumstances, however, we are trying to do whatever we can to help. Internally, we have started to share fundraising ideas- already one of our team has wrangled a slot at Edinburgh Festival to do Stand Up comedy: https://www.justgiving.com/Roxy-Rocks-Engelman15/. 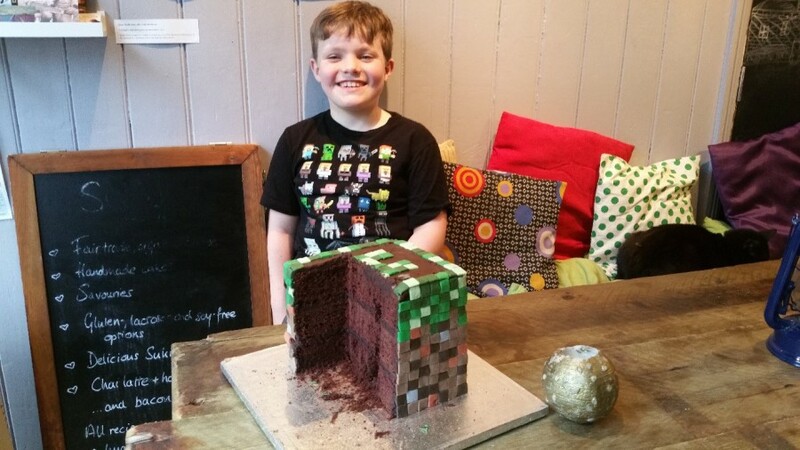 One of our local family run cafes, Suzzle, left us pleasantly surprised when the owner’s son Harvey, decided that he wanted to share the cake from his 9th birthday raising £32 over the weekend!! Other ideas that we are toying with is organising a ‘knitting circle’ night; hosting a Nepalese dinner and putting on a poetry evening in one of our local cafes, Joe’s Kid. We are even asking the builders who are working on a building site next door to us to get involved! We are reaching out to our entire community to help fundraise. 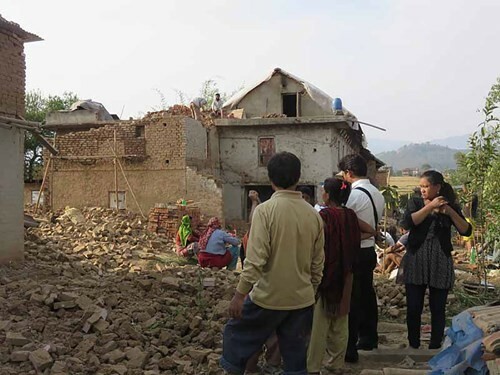 We would really appreciate your involvement, whether it’s sharing this fundraising page on your own social networks/community, giving a direct donation or organising a fundraising event:http://campaign.justgiving.com/charity/peopletreefoundation/nepal – it all helps us reach this target. You can select ‘Fundraise for Campaign’ and it takes you through a simple process of setting up your own fundraising page. Money raised through this page connects directly to our main fundraising page (as do the comments!!) and will go directly to KTS and Fair Trade Group Nepal. We can’t wait to hear about your fundraising activities, so please do tweet and share them with your friends and send us your pictures!